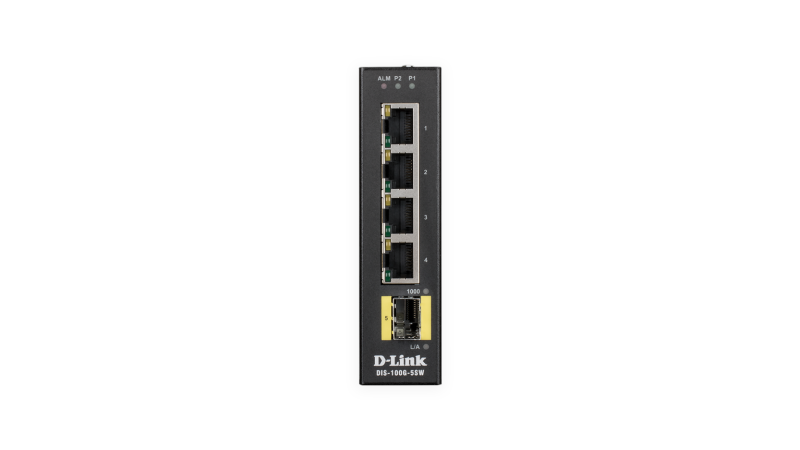 The DIS-100G Series Gigabit Industrial Unmanaged Switches are equipped with a variety of port combinations including 10/100/1000BASE-T non-PoE or PoE ports, and SFP ports. These switches feature a robust design making them ideal for deployment in industrial and outdoor cabinet surveillance settings, capable of withstanding the harshest environments. 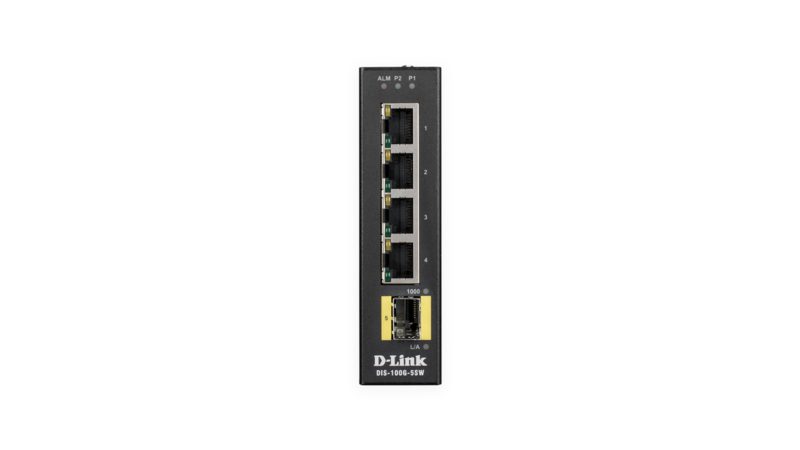 In addition, the DIS-100G Series are Plug-and-Play, allowing for effortless and swift deployment. The DIS-100G Series switches are housed in a highly resistant IP30-rated metal casing to help protect them from harsh environmental conditions. The high electromagnetic compatibility (EMC) helps protect the DIS-100G Series from unwanted effects when operating in environments with strong electromagnetic interference. The fanless design extends the life of the DIS-100G Series while also being able to operate in a wide temperature range from -40 °C up to 75 °C. For increased flexibility, the DIS-100G Series can also be mounted on a DIN rail or conveniently mounted on a solid surface wall. 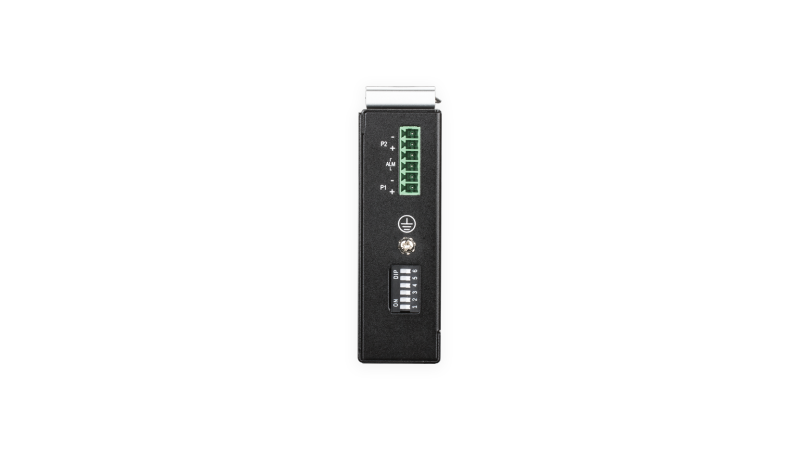 In addition, the DIS-100G Series supports dual power input which allows for a redundant power supply configuration to make sure the switches continue to operate in the event of a primary power supply failure. Meanwhile, a powerful IEEE 802.1p Quality of Service (QoS) engine prioritizes network traffic so that time-sensitive data is delivered efficiently, even during bursts of high data traffic. This helps ensure an optimal experience for streaming critical data such as from surveillance and recognition systems. 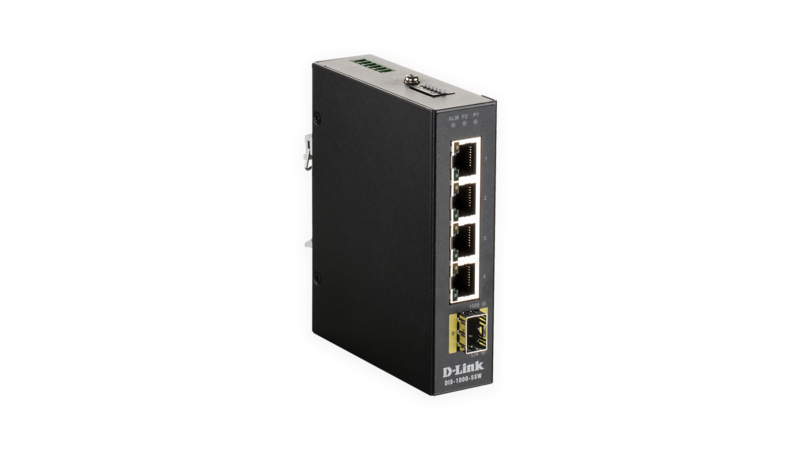 The PoE-ready DIS-100G-5PSW features a total PoE budget of 120 W, capable of supplying up to 30 W of power per port to connected PoE-enabled devices leveraging existing conventional Ethernet cabling. This effectively cuts down deployment times, reduces cable clutter, and eliminates the need for dedicated power supplies to allow PoE-devices to be installed in remote locations. periods of inactivity. 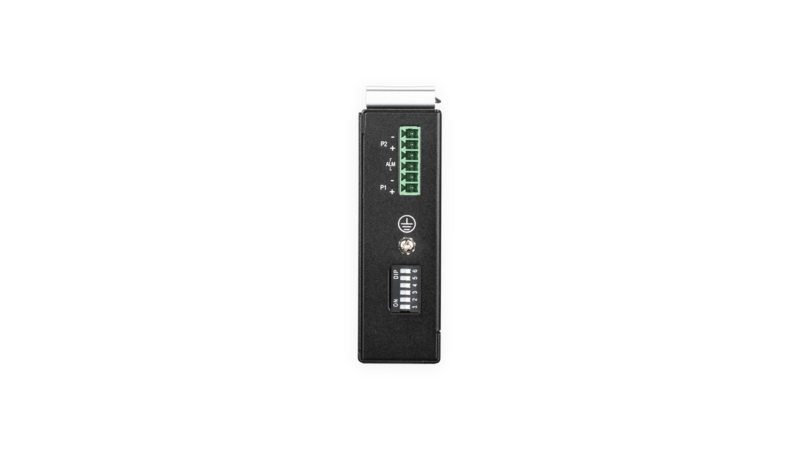 Link status detection automatically powers down ports when there is no link detected, saving power when the connected device has been shut down or disconnected. Cable length detection automatically adjusts the power output of the port based on the length of the cable, reducing the power requirements of the switch to only what is necessary for the installation.